The prom for the Blackville School 2015 graduates and their guests was on Saturday, June 15. 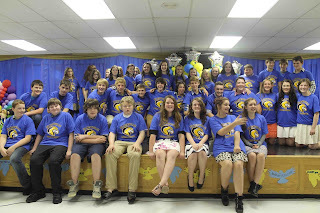 The graduation ceremony is this Thursday evening, June 18.
at the end of their banquet on June 11. Both grade 5 and 8 students at Blackville School attended separate banquets on June 9 and 11 respectively. 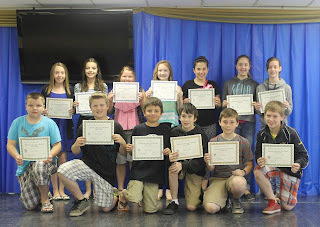 The grade 5 students were celebrating their completion of upper elementary, while the grade 8 students were recognized for their completion of middle school. 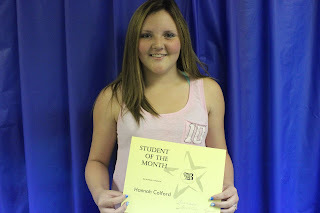 At both events, students received awards and recognition and enjoyed a meal with their families. The grade 5 students viewed slide shows of the students through their earlier school years and a slide show of all the fun activities they took part in this year. The students performed a dance to the song "Uptown Funk". Awards were given for top students in academic subjects, as well as Peer Helpers, Bucket Fillers and other areas of strength. the Josie Foundation Founder and Board of Directors Member. 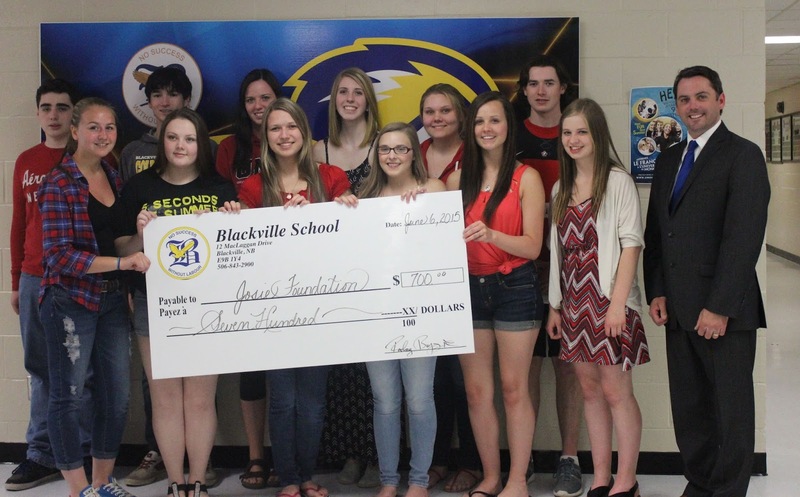 Blackville School students raised $700.00 through various fundraising initiatives for the Josie Foundation. 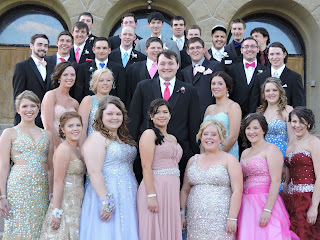 The fundraising campaign was organized by the High School Student Council. 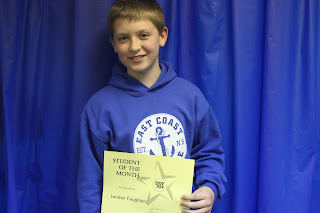 and shows strong leadership skills. Hannah has been a great help with the "Go for 42"
and is a hardworking student. Blackville School held their Recognition Awards Ceremony on Monday, June 1. 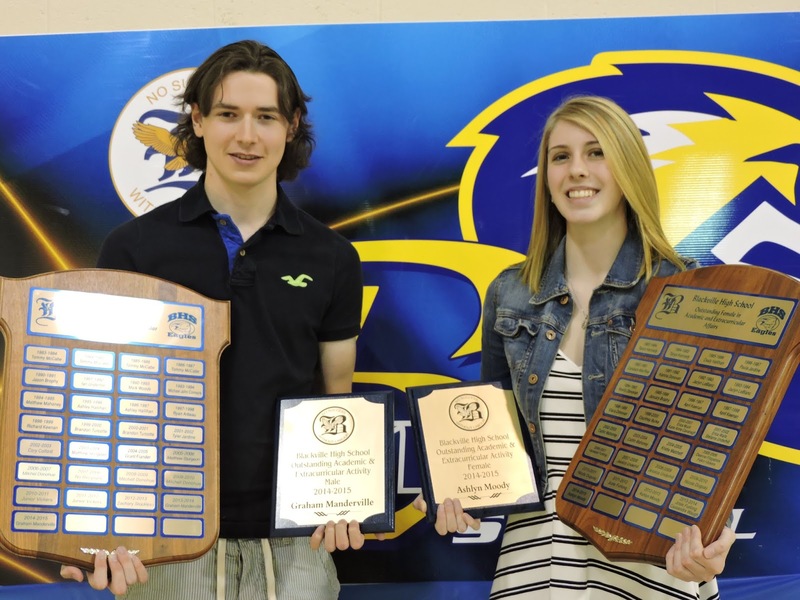 Grade 12 student Graham Manderville and grade 11 student Ashlyn Moody received the Most Outstanding Academic and Extra-curricular Awards. Manderville also received the Fenton Sturgeon Memorial Award which is awarded to a grade 12 student who has been involved in sports for all four years of high school. Special consideration is given to students who have volunteered their time coaching younger athletes outside school hours. High School Male Athlete of the Year went to Graham Manderville and High School Female Athlete of the Year went to grade 10 student Kailey Donovan. 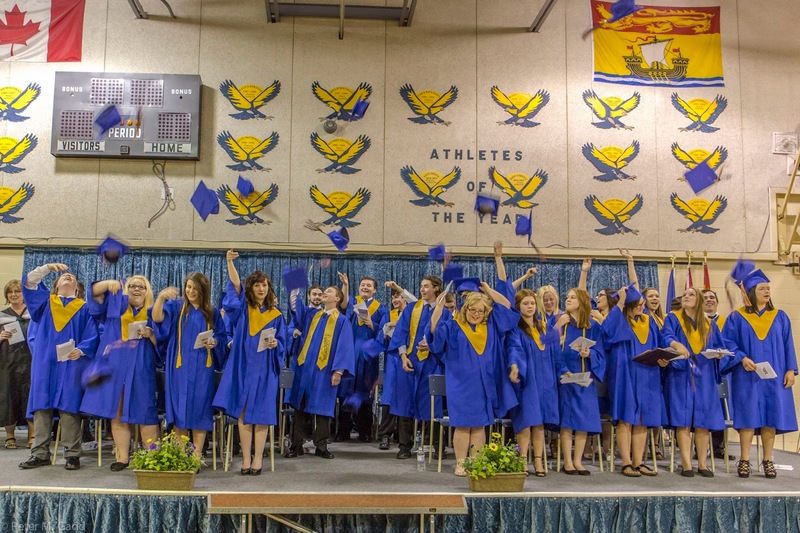 The Kathy McCormack Award, recognizing athletes who are great school ambassadors, went to grade 12 student Larissa Bryenton. Middle School Male Athlete of the Year went to Denver Donovan and Middle School Female Athlete of the Year went to Tori Sullivan. Below is a list of the other awards and the recipients. 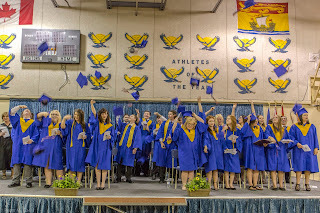 To view more photos from the ceremony, click here.